Can a gay person be a teacher and out? What can a student do if they face bullying from their peers or teachers as a result of their sexual orientation or gender identity? 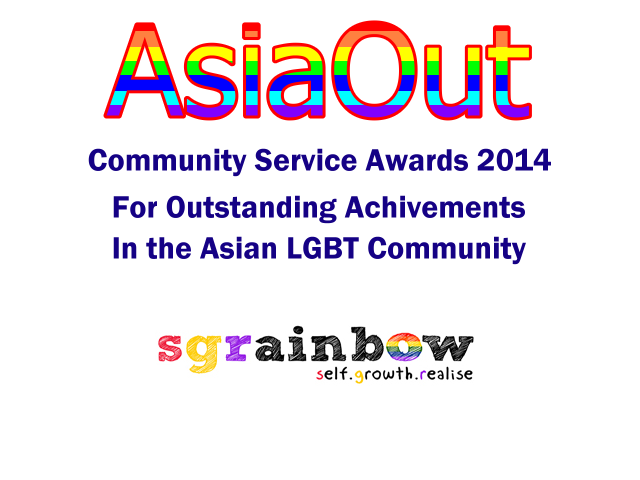 Most importantly, what can we do as a community to support and minimise such instances of bullying and discrimination? 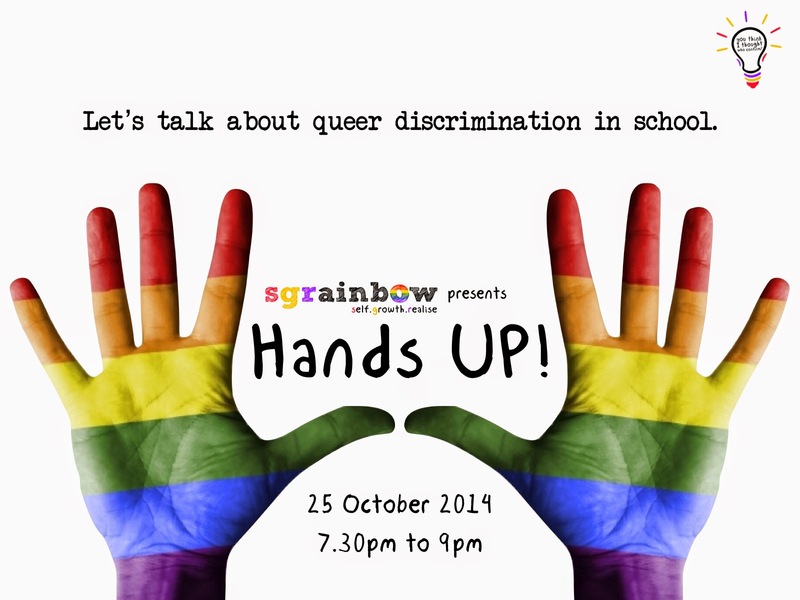 SGRainbow presents Hands UP!, the second forum in the You Think I Thought Who Confirm? series, as we invite teachers and students to share about their experiences being LGBTQ in school. To protect the safety of participants and panellists, the venue will be announced two days prior to the event to registered participants only. This event also adheres to a strict no-photography and no-videography rule. This event is FREE and is open to ALL. Register now here.